Build Your Own Adventure™ by choosing 3 of our Klime Wallz™ challenges for your portable setup. 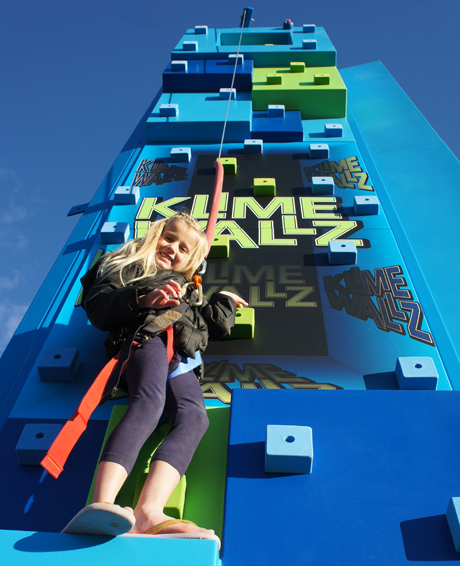 Our Klime Wallz™ challenge and excite climbers in ways that traditional climbing walls can’t. Offering 3 challenges is a sure way to inspire repeat climbs and ensure that your clients are never bored! With our Build Your Own Adventure™ program you can pair the Klime Wallz™ tower with any one of our 4 trailers: single axle, dual axle, folding trailer, or V2 Combo.